Higher rated than the competition and comes in a variety of weight doses, which makes this a winner. However, does not treat ticks. Highly rated but only treats fleas. Good for those not looking for tick prevention. Highly rated but only treats fleas. Ideal for those not looking for tick deterrence. Fleas are a type of ectoparasite. Ectoparasites are organisms that live as a parasite on animal skin. Some well-known ectoparasites are fleas and ticks. These pests aren’t just annoying, they post severe health risks to your pet and yourself. Unlike a single tick that can attach itself to you or your pet’s skin, fleas can also take over your entire home. If you’ve ever encountered an infestation of fleas jumping around in your carpet or biting as you sit on your furniture, you understand how frustrating the experience can be. First, we’ve compared Advantage’s best flea treatments for your pet, whether it’s a cat, a small dog, or a huge canine. This buyer’s guide will help you find your ideal preventative medication to keep your animals safe from fleas. Outside, fleas like to live in shady areas like the places dogs and cats prefer to rest. So, it’s expressly important to keep your pets on flea medication if they are outside at all. 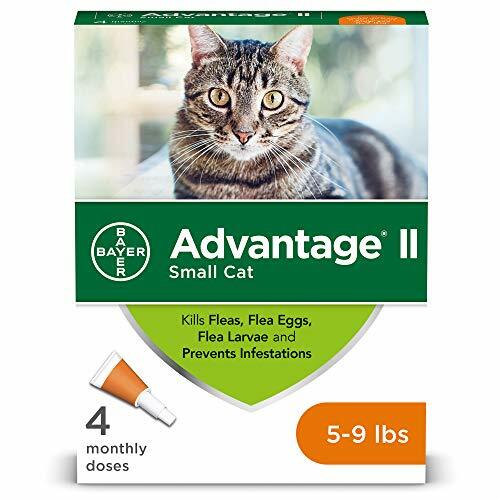 Applied topically, Advantage II for cats kills fleas through contact with skin and fur. So, fleas don’t have to bite your cat to be killed. The ratings on this are a bit higher than some of the competition. If fleas are your primary concern and ticks are not an issue in your region, this is an excellent all-around flea treatment and prevention. This can cause irritation to some cats, so testing a small spot area is a good idea if you’ve never used this product before. This does not kill ticks, however. If you have a tiny pooch like a Pomeranian or a Chihuahua, this product is for you. 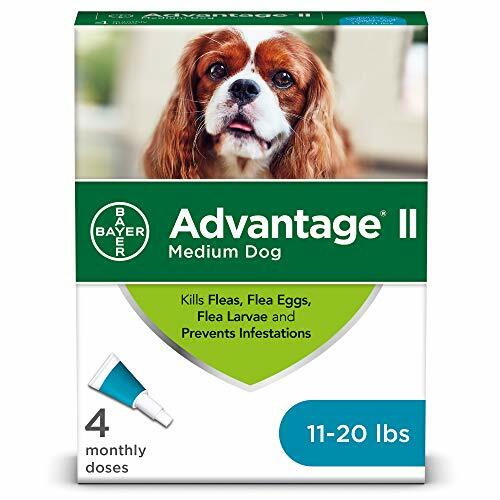 With over 60 percent of nearly 3,000 reviews rating this flea treatment five stars, you’re likely to get an effective product with Advantage flea prevention for small dogs. Fleas do not have to bite your dog to be poisoned, but rather die by contact with the ingredients on your pet’s skin and fur. This product also treats lice, which is a nice bonus. However, this does not kill ticks. If fleas are your main concern and ticks are not an issue where you live, this is an excellent all-around flea treatment and prevention. 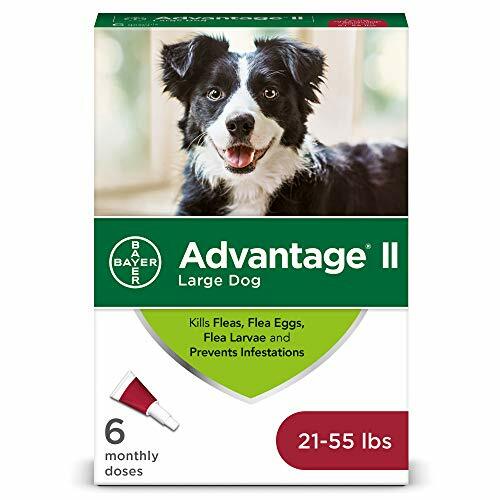 With over 60 percent of nearly 3,000 reviews rating this flea treatment five stars, you’re likely to get an effective product with Advantage flea treatment for medium dogs whether you have a terrier or a Shetland sheepdog. Fleas do not have to bite your dog to be exterminated, but rather die by contact with the ingredients on your pet’s skin and fur. This product also treats lice, which is a perk. Please note: this treatment does not kill ticks. If fleas are your main concern and ticks are not an issue where you live, this is an excellent all-around flea treatment and prevention. 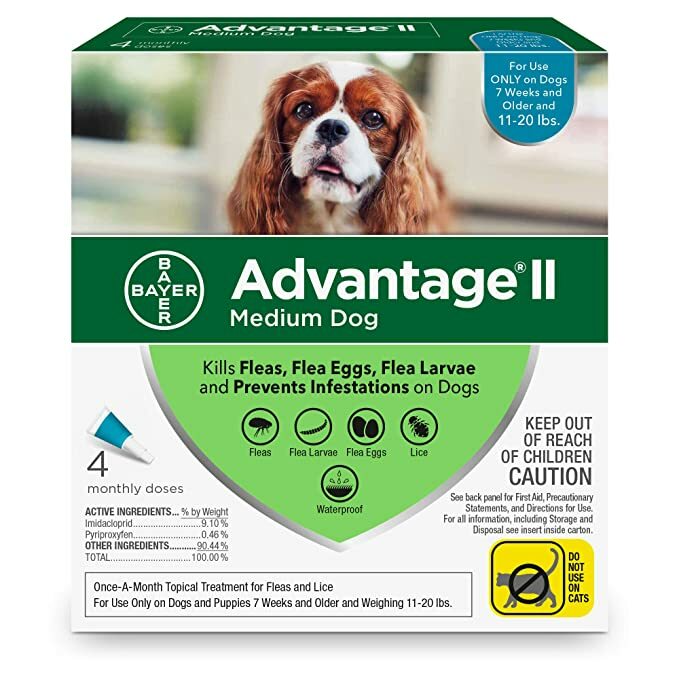 With over 60 percent of nearly 3,000 reviews rating this flea treatment five stars, Advantage is doing something right. So, chances are good you’ll have success with Advantage flea treatment for large dogs, whether you own a border collie or lean Labrador. Fleas do not have to bite your pooch to be poisoned, but rather are eradicated by contact with the ingredients on your pet’s skin and fur. This product also treats lice, which is a nice bonus. Be warned: this does not kill ticks. If fleas are your main concern and ticks are not an issue where you live, this is an excellent all-around flea treatment and prevention. With the majority of 3,000 reviews rating this flea treatment five stars, this flea treatment works for most dog owners who give it a shot. So, chances are good you’ll have success with Advantage flea treatment for extra-large dogs, whether you have a Great Dane or a St. Bernard. Fleas do not have to bite your dog to be poisoned, but rather are killed by contact with the ingredients on your pet’s skin and fur. This product also treats lice. However, be warned: this does not kill ticks. If fleas are your main concern and ticks are not an issue where you live, this is an excellent all-around flea treatment and prevention. Advantage uses two active ingredients in these flea prevention and treatments. Imidacloprid is a systemic insecticide that was originally made to mimic nicotine and its effect on insects. Imidacloprid acts as a neurotoxin and is far more toxic to insects than to mammals. Pyriproxyfen imitates a hormone in insects and disrupts their growth. Pyriproxyfen is an insect development regulator that targets mostly young insects and the eggs. The combination of these two active ingredients treats both the adult fleas along with the eggs, larvae, and nymph stages. Some of the initial signs of fleas on your pet are repeatedly chewing or scratching themselves. Fleas grow no larger than 1/8 of an inch long while at adult their size. So, it can be tricky to see some of the physical attributes used to identify them. However, these reddish-brown, wingless insects carry several health risks beyond an itching sensation. Fleabites involve of a (usually) tiny red spot encircled by a reddish halo. These bites can often be without much swelling. The bite marks usually cause an itchy sensation but can become progressively grating to people or pets with sensitive skin. Some of the initial signs of fleas on your pet are repeatedly chewing or scratching themselves. Sometimes, you can see small brownish fleas moving quickly through the fur. Consistent scratching can cause patches of hair loss or red and skin. Fleas are capable of spreading several illnesses to pets and humans. They’ve been documented as carrying a typhus disease in humans. The symptoms are like to murine typhus but not as severe and can result in headaches, fever, chills, vomiting, and a rash. If the fleas fed off of rats, in some areas, they even pose the threat of plague. Yes, the bubonic plague from that wiped out a large portion of the population in Europe still exists today, is carried via fleas, and in some places such as Madagascar is a current problem. Some people and pets experience allergic dermatitis from fleabites. Allergic Dermatitis is characterized by an extreme itching sensation, hair or fur loss, inflamed skin, and secondary infection. It only takes a single bite to start an allergic reaction. Itching can last up to five days after the bite occurred. Once fleas infest your home, getting rid of them will require a vigilant program that can be exhausting. Fleas reproduce at an extremely fast rate—often quicker than you can get rid of them. So, getting rid of fleas can be an ongoing struggle. To get rid of fleas you must adhere to a protocol that includes excessive vacuuming, chemicals, high-temp washing your clothes, and sheets, destroying fleas on pets with various medicines and shampoos, and possibly even treating shaded outdoor locations where your pets often play or rest. 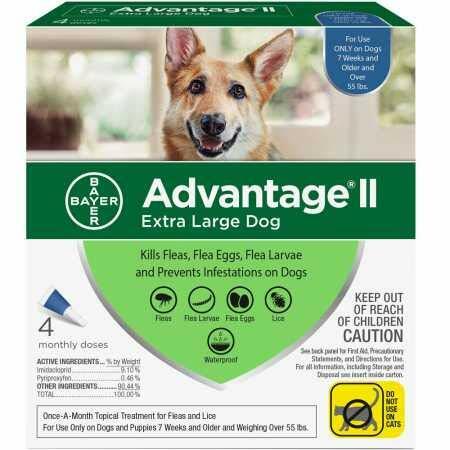 Preventing fleas with a product like Advantage is definitely more convenient than ridding your home of an infestation.